Catches of recreational fishermen from the Northern stock and, for precautionary reasons, from the stock in the Bay of Biscay should be restricted by a daily limit. From 1 January to 30 June 2017 in recreational fisheries in ICES divisions IVb, IVc, VIIa and from VIId to VIIh, only catch-and-release fishing for sea bass, including from shore, shall be allowed. 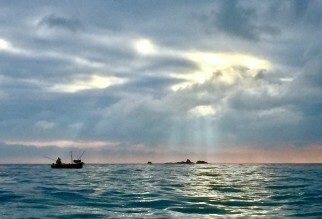 During this period, it shall be prohibited to retain on board, relocate, tranship or land sea bass caught in that area. (b) from 1 January to 31 December 2017 in ICES divisions VIIj and VIIk. From 1 January to 31 December 2017 in recreational fisheries in ICES divisions VIIIa and VIIIb, a maximum of five fish per fisherman may be retained each day.